Is Unilever’s Sustainable Living Plan turning out to be just CSR in disguise? Business writers have been having a hay-day covering the “big” story of this past week – the failed Kraft Heinz bid for Unilever. No question that in pure money terms this is indeed big news. If these two giants had managed to merge, we would have witnessed the biggest ever takeover by a foreign company of a UK company and a clear victory for a “certain way” of doing business. However, the back-story is certainly more interesting, a little more complex and with consequences that could be far reaching. 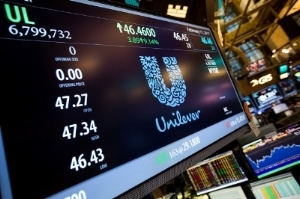 Just days after this very public collapse, pressure on Unilever’s CEO, Paul Polman, has seen UL commit to a far reaching review to show shareholders the very value spotted by its rival. Graeme Pitkethly, the UL CFO, said Kraft's offer had highlighted the importance of achieving a balance between long-term sustainable value, which it had prioritized, and short-term delivery. UL’s investors may not support the slash-and-burn tactics that define Kraft-Heinz and more specifically the killer combination of Warren Buffet and Jorge Paulo Lehmann, but neither do they appear to be as seduced by the long-term strategies espoused by Polman and his team. In an age when state protectionism (as the front cover of the January 2017 Economist states – “In Retreat – Global Companies in an era of protectionism”) combined with national deregulation threatens both social safety nets and the (small) environmental gains made over recent years the signals from Unilever are of real concern. Will the 2016 beauty queen of the Dow Jones Sustainability Index soon fall down the ranks, pulling others down with her and confirming the more cynical that Corporate Social Responsibility really is a glossy form of Business as Usual? Will business commitments to the UN Sustainable Development Goals continue to provide attractive graphics for annual sustainability reports leaving the non-business partners the heavy responsibility and practical task of ensuring a thriving future for our planet? This bid is clearly a challenge to the progressive and enlightened. It is more important than ever that business leaders such as Paul Polman and Danone’s Emmanuel Faber maintain their vision of business as a force for good and the plethora of strategies and actions this implies. It is also more important than ever that investors recognise that that true value of business is reflected as much in value created for social networks and ecosystem services as the direct share value they tend to focus on. In launching the New Angles – Early Strategies international survey earlier this month (and still open till 17 March), “Is CSR Changing Business”, we will try to ascertain, from the insider perspective of middle-management, the extent to which the CSR intent and efforts made over recent years have made an impact on business behaviours. We expect this to inform business strategies of the future in line with our common conviction that business can and must be a force for good.